Description: This Wolves and Wilderness Experience is a weekend community camping retreat on the Autumn Equinox to ignite the heart of compassion. During our time together at Mission: Wolf Sanctuary in the Wet Mountains of southcentral Colorado you will have opportunity to connect deeply with our facilitators and new friends in conscious reciprocity with wolves and our wilderness surroundings as well as sanctuary staff to inspire soulful direction on your life’s path. At One Wild Heart you will experience the embodied medicine of your belonging. Date and Time: Arrive to Westcliffe, CO at noon on Friday, September 20, 2019 for caravan to Mission: Wolf. Our time together concludes at 2pm on Sunday, September 22, 2019. We will remain onsite throughout the duration of the retreat. Location: One Wild Earth takes place on wildlands near Mission: Wolf Sanctuary located near the town of Westcliffe in southcentral Colorado. The drive from Denver to the retreat site is approximately four hours. Denver International Airport is our closest major airport. Parking on site for our retreat is limited and we seek to minimize our carbon footprint so carpooling is strongly encouraged. Driving directions and meeting location will be provided to participants upon registration. Meals: 6 Organic Meals. *Vegan and gluten-free options available. One Wild Heart Guides: Our Wild Heart Revival facilitators have more than 30 combined years of experience in wilderness guiding and collectively embody a diverse array of wisdom and skills in nature-based therapies; spiritual mentoring; ecology and applied conservation work; wilderness survival; yoga and meditation; subtle body dynamics; wildlife tracking; and deep listening. Melissa Reed-Eckert is founder of Wild Heart Revival and the visionary for both One Wild Heart and Women Rising Wild transformational retreats with wolves. She is a fourth generation healer and wilderness guide. She has lived closely with wild canids since childhood and has over 20 years experience as a wildlife biologist specializing in studies of rare and endangered mammals. Melissa is a seasoned tracker, medicine weaver, ritualist, and mystic with deep and intimate ties to nature. Melissa is our fire tender and wild nature spirit guide at One Wild Heart. In 2019, Melissa will be joined by Ilyas El-Amin, a spiritualist who expresses himself as an Islamic Mystic. He is a father, husband, spiritual mentor, veteran, and social worker who has dedicated his life to studying and embodying the teachings of ascended masters. Through these studies he has learned to connect to the divine nature existing within all of creation and to live in faith in humanity. Ilyas’s mission as a bearer of light is to help others develop awareness of their own divine nature or God Consciousness within. As a social worker, Ilyas is helping underserved and marginalized individuals and families experiencing homelessness to establish stability, support and self-sufficiency in their lives. At One Wild Heart Ilyas will support our conscious remembering and reconnection to the One Wild Heart residing within All. Mission: Wolf and One Wild Heart wolf ambassadors: The 200 acre – and growing – Mission: Wolf sanctuary was created in 1986 and is currently home to thirty-four rescued wolves and wolf hybrids including two gregarious senior ambassador wolves and three new wolf pups. Each animal at Mission: Wolf embodies a unique character and quality of medicine derived from it’s inspiring life journey. For those who are ready and receptive, these animals have much to teach. Learn more about Mission: Wolf and find out how you can help captive and wild wolves. Description: This Wolves and Wilderness Experience is a weekend community camping retreat to ignite the heart of compassion. One Wild Earth takes place at Mission: Wolf Sanctuary in the Wet Mountains of southcentral Colorado on the Autumn Equinox. At One Wild Earth we will focus on team building and interpersonal relating with each other and the more-than-human world. We will utilize medicine walks, ritual, and facilitated interactions with wolves to remember our gifts and our place of this world. Through nature connection and intimate experience of community we will embody the medicine of our belonging. Our circle of connection will expand through the weekend to include the wolves, the land, and wolf sanctuary staff as we work shoulder to shoulder, hip to hip, in a sanctuary improvement project. We will explore how our experiences of reciprocity, compassion, and individuality within pack can elevate joy within our lives when we return to our families and home communities. Date and Time: Arrive to Mission: Wolf between 4 and 6 pm on Friday, September 21, 2018. Our time together concludes at noon on Sunday, September 23, 2018. We will remain onsite throughout the duration of the retreat. Location: One Wild Earth takes place on wildlands near Mission: Wolf Sanctuary located near the town of Westcliffe in southcentral Colorado. The drive from Denver to the retreat site is approximately four hours. Denver International Airport is our closest major airport. Parking on site for our retreat is limited and we want to minimize our carbon footprint so carpooling is strongly encouraged. Specific details and driving directions will be provided to participants after registering for the event. Price: $360 per person. Event price includes 6 meals with gluten-free and vegan options available and a $25 membership donation to the wolf sanctuary. One Wild Earth Guides: Melissa Lynn Reed and Kelly Cooper have more than 30 combined years of experience in wilderness guiding and collectively embody a diverse array of wisdom and skills in nature-based therapies; ecology and applied conservation; wilderness survival; yoga, dance, and meditation; subtle body dynamics; wildlife tracking; tantra; rewilding ritual, and wild listening. Learn more about our guides. Boulder Valley is home to an exceptionally high number of nesting and wintering raptors. In celebration and support of Colorado Gives we continue to offer a 20% discount on all of our services and events booked in December when you make a charitable donation to Boulder County Audubon Society, Colorado Avian Research and Rehabilitation Institute, or other nonprofit organization working to elevate the wellbeing of people, animals, and wilderness. The young hawk in this footage was viewed in our foothills the week of November 27 and the audio recording was made in July 2017. Wild Heart Revival thanks you for your charitable donations to local nonprofits supporting people, animals, and wilderness. Give to Rocky Mountain Wild or Mission: Wolf and receive 20% off on all of our offerings. Offer valid through December, 2017. Schedule a free introductory nature-connected life empowerment coaching session now. Preregister for Women Rising Wild. 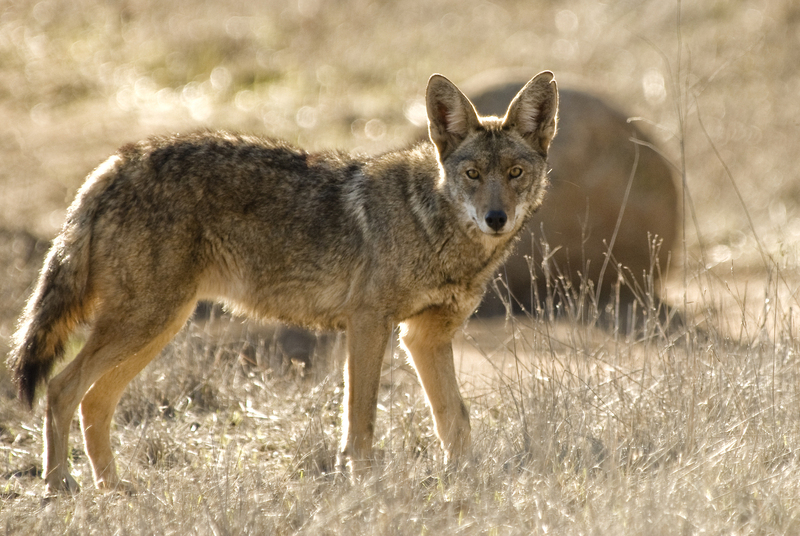 Feel into our fundamental nature and evolutionary kinship with wild bushytails as we walk Kohler and Enchanted Mesas and explore both myth and ecology of wolf and other wild canid species found in Colorado. Meet at the Chautauqua Ranger Cottage. Map and directions available here. This free hike is offered by Melissa Reed, wildlife ecologist and wilderness guide with Wild Heart Revival. Melissa has more than 20 years experience as a wildlife ecologist and has lived closely with wild canids since childhood. This past Labor Day Melissa hosted a transformational rewilding retreat for women with wolves at Mission: Wolf wolf sanctuary in southcentral Colorado. Registration for Women Rising Wild, 2018, is now open. View the photo gallery from the 2017 event.